My boys love cardboard boxes. In fact, I might even say that they are their favorite toy- the toy that gets the most attention, the most time and care and the most use. 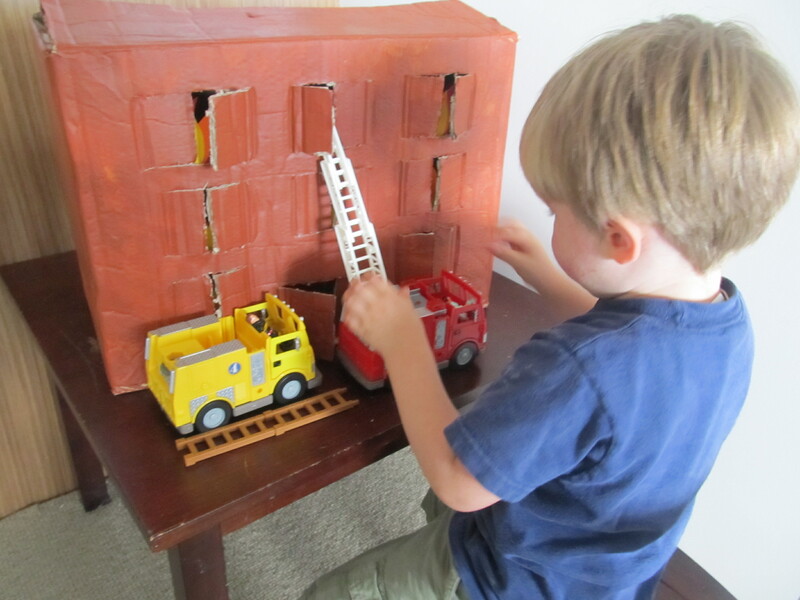 Don’t get me wrong they love their Duplos and Legos and trains, but the cardboard boxes present infinite possibilities- today will it be a fire engine? an airplane? a robot? or a burning house? Well, today in our house it was a burning building. 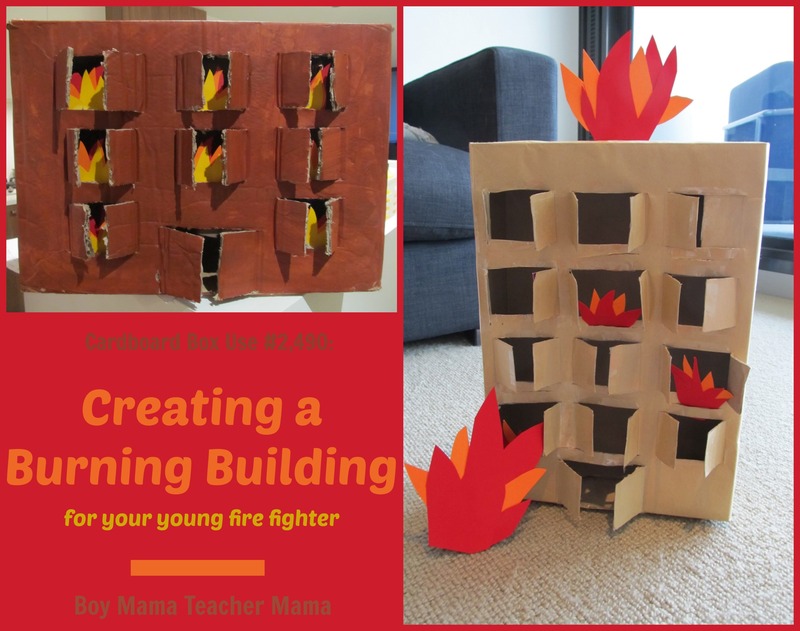 My boys are so incredibly “into” being firefighters right now that I thought this was the perfect creation for them. This one took a little more adult help than most, but the outcome was far better than we could have imagined. I guess I should start by saying this is the second time we have made our burning building. The first time I made it for my son’s 5th birthday party which, surprise, surprise, had a firefighter theme. I am not totally sure where the inspiration came from. This happens to me sometimes. I just get an idea and have to go with it. 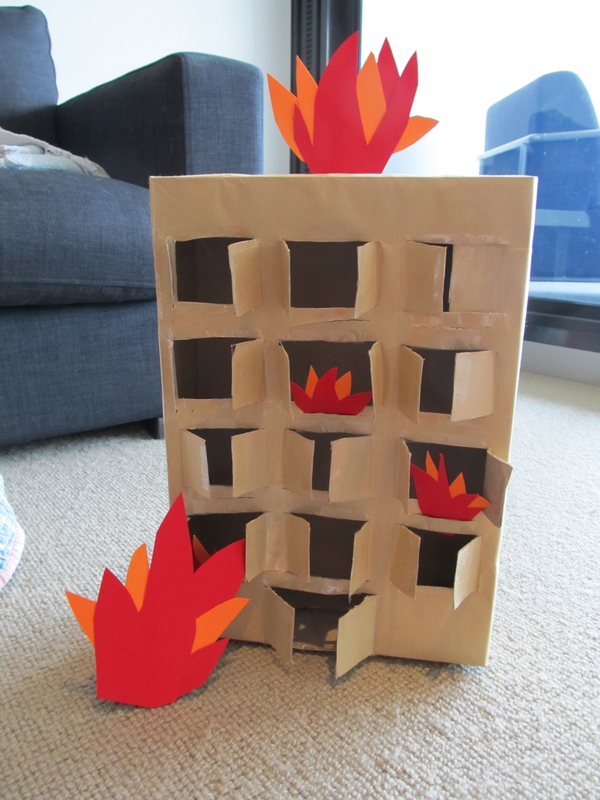 Our first burning building was made for my son’s 5th birthday party. 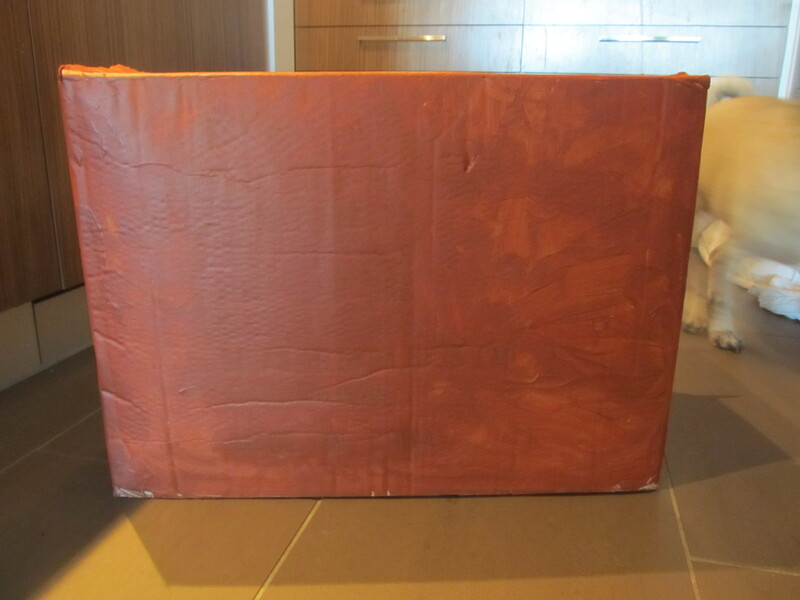 Paint the box the color of your choice. We used brown. Trace the windows and doors on the house with a pencil. Create as many doors and windows as you like. Use the blade to cut the windows. Remember only to cut the top and bottoms of the windows and along the center unless you do not want the windows to open and close, but remain an open window/hole. Gather red, yellow and orange paper. 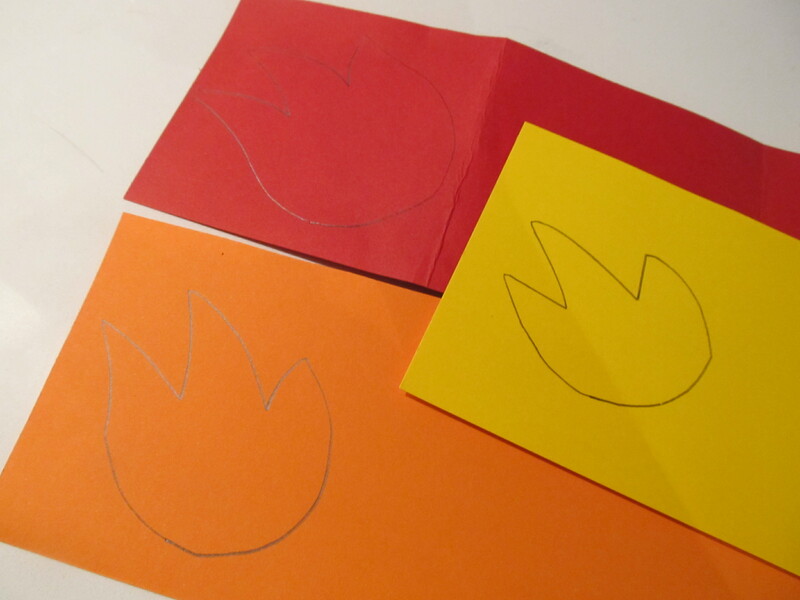 Draw three different sized “flame shapes” on a piece of cardboard. 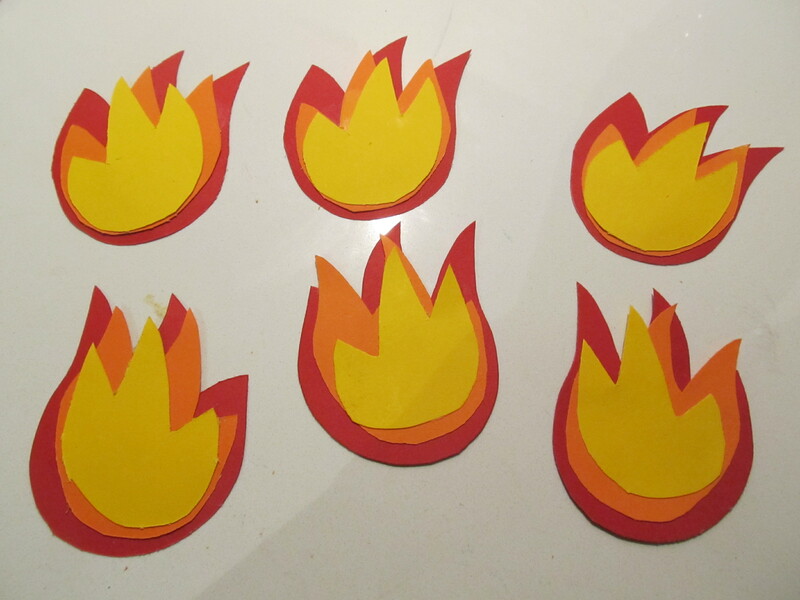 These will be your stencils for creating the flames. I used the inside of an empty cereal box to create my stencils. Trace the largest flame shape several times on the red paper. You can create as many flames as you like. I made one for each window and two extras in case one gets lost or ruined. 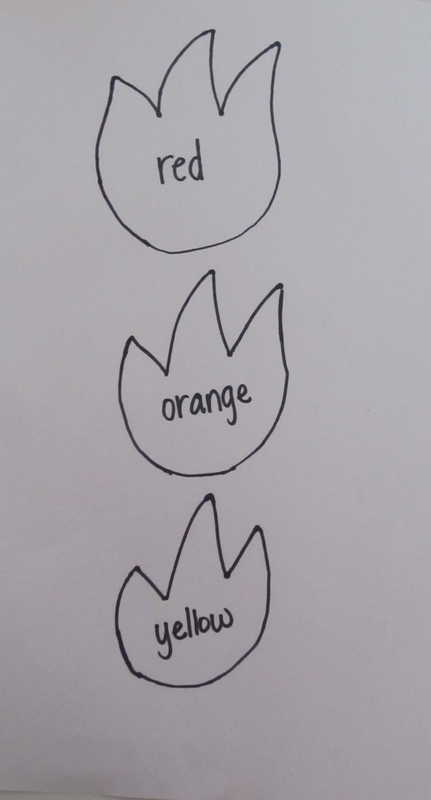 Trace the middle sized flame shape several times on the orange paper. Trace the smallest sized flame shape on the yellow paper. Layer and glue the shapes this way- red on the bottom, orange in the middle and yellow on top. Your flames are now complete. Use sticky tack at the bottom of each flame and press them onto the inside of each window. Put one side of velcro on the bottom of the flame and the opposite side of velcro on the inside of the window. 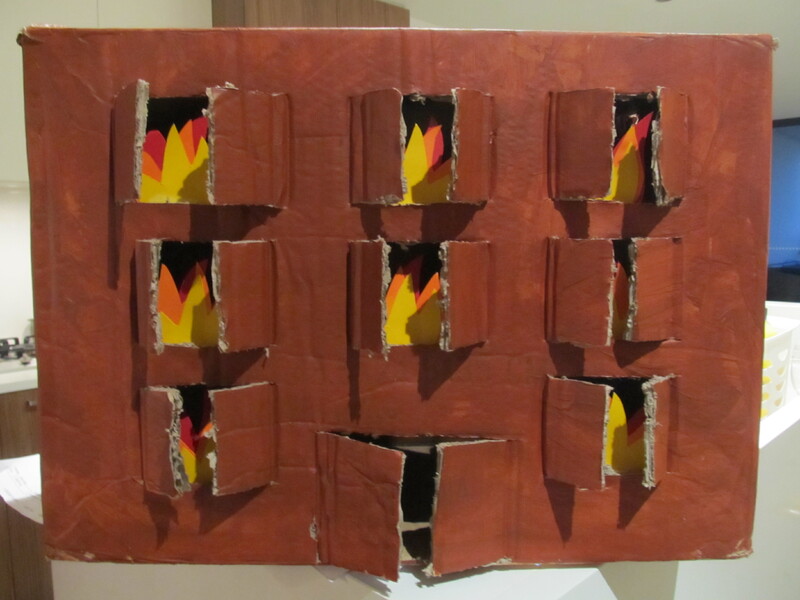 Cut a slit below each window and slide the flame into a slit. If you choose this method, you will need to add a piece of cardboard to the bottom of each flame so it stays in the slit. 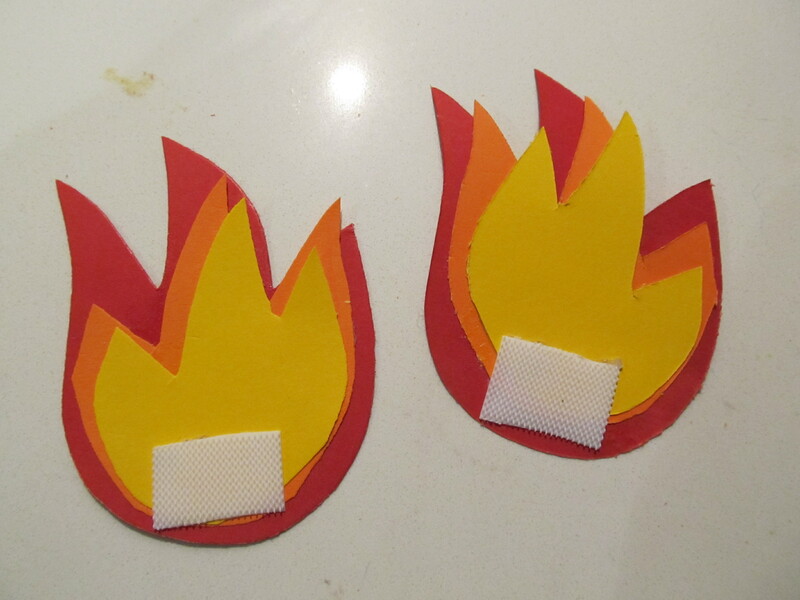 You can also reshape the bottom of each flame with scissors so it fits in the slit. Note: I have tried all three options. The easiest for little hands is the slit option. 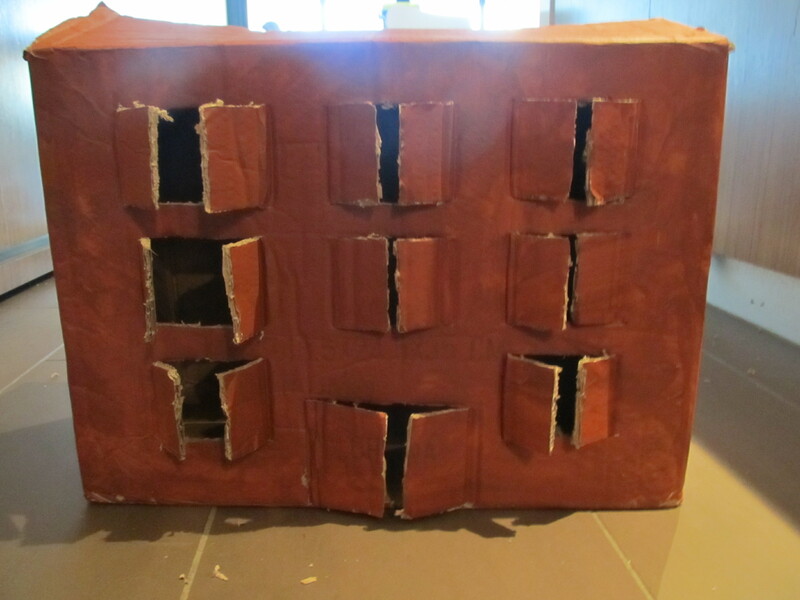 The velcro works as well, but do not get heavy duty velcro because it is so strong that it is hard to separate the flame from the building without removing all the velcro and part of the box. Paint the box the color of your choosing. Position the windows and doors where you would like them. Then using the blade, cut them out. 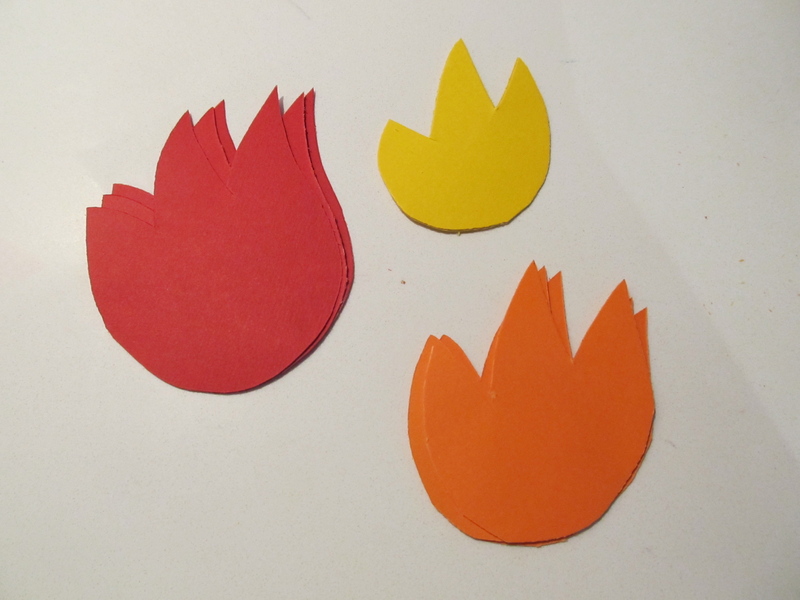 Create flame shape stencils on cardboard of varying sizes. Cut the stencils out. Trace the flames on colored paper. Make as many flames as you like. Be sure to make an extra or two just in case. Layer the flames- red on the bottom, orange in the middle and yellow on top. Glue the layers together. Decide which method of attaching the flames works best for you. I used velcro in this example. Your burning building is now complete! Now that your building is complete, you child can add and remove flames from the windows to play firefighter. 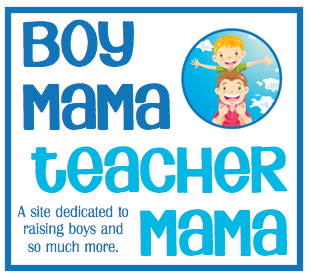 Boy Mama wants to hear from you! If you made this project, please send photos to [email protected] or post them on our Facebook page. Great idea. I wanted to let you know that I am featuring this on a Fireman Birthday Party Roundup if you don’t mind.